An injury to the brain can affect virtually any aspect of functioning and, at the deepest level, can alter sense of self or the essential qualities that define who we are. In recent years, there has been a growing body of research investigating changes to self in the context of brain injury. Developments in the cognitive and social neurosciences, psychotherapy and neurorehabilitation have together provided a rich perspective on self and identity reformation after brain injury. This book draws upon these theoretical perspectives and research findings to provide a comprehensive account of the impact of brain injury on self-identity. The second half of this book provides an in-depth review of clinical strategies for assessing changes in self-identity after brain injury, and of rehabilitation approaches for supporting individuals to maintain or re-establish a positive post-injury identity. The book emphasizes a shift in clinical orientation, from a traditional focus on alleviating impairments, to a focus on working collaboratively with people to support them to re-engage in valued activities and find meaning in their lives after brain injury." 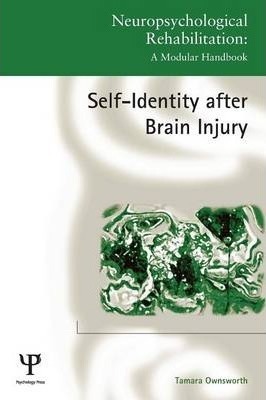 Self-Identity after Brain Injury" is the first book dedicated to self-identity issues after brain injury which integrates theory and research, and also assessment and intervention strategies. It will be a key resource to support clinicians and researchers working in brain injury rehabilitation, and will be of great interest to researchers and students in clinical psychology, neuropsychology, and allied health disciplines.